France, Calais. 'Jungle' camp for refugees. 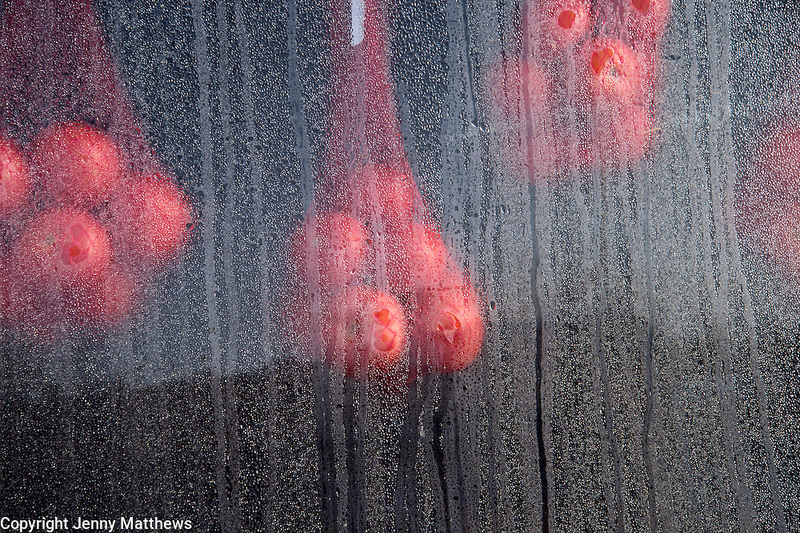 Tomatoes on sale in a shop with condensation on the plastic window.